UPDATE: In an interview with developers Jeremy Feasel and Paul Watkins, it was clarified that higher difficulty Island Expeditions are intended to have a higher chance of awarding loot. In a separate interview with the same developers noted above, it was announced that all Island Expedition battle pets will be cageable in Patch 8.1. BlizzCon 2018 did not reveal too much in the way of battle pets and Pet Battles. However, there were a few sneak peaks of what might be coming in the future. Through December 31, 2018, 100% of Whomper's adoption fee ($10 USD) will be donated to Code.org, a nonprofit organization that focuses on bringing computer science to schools and increasing participation by women and underrepresented groups. There's also a separate Whomper plushie that you can buy. Proceeds of this toy will also be donated to the nonprofit organization listed above. 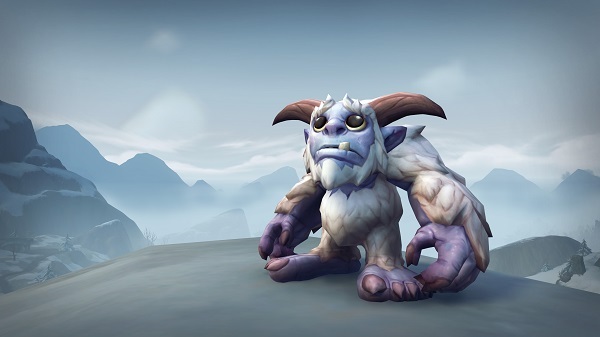 Adopt this cute yeti with big feet and big eyes to show that you have a big heart. Whomper is a must-have for any collector and makes a wonderful adventuring companion. We're all eagerly awaiting the next major content patch, and it was announced during the WoW 'What's Next' panel that 8.1, 'Tides of Vengeance', will be coming the week of December 11, 2018. Check out Wowhead's full coverage of this panel. Much of the upcoming Pet Battle content has already been datamined from the 8.1 PTR. However, Blizzard went one step further and provided some previews of upcoming content beyond 'Tides of Vengeance'. Here are a couple notable Pet Battle things revealed during the panel, slated to be added in Patch 8.1.5. 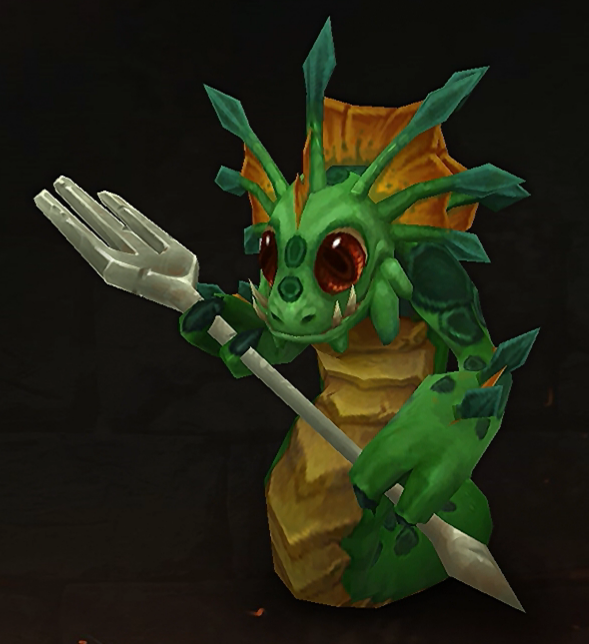 Children's Week updates - Kul Tiras and Zandalar orphans and quest lines will be added... could this mean new Children's Week pets will also be available? Return of the Brawler's Guild - It's unclear if Clock'em and Tylarr Gronnden will be available again. Will a new battle pet be added? We'll have to wait and see. It was announced that after Patch 8.1.5, the next major content patch will be 8.2 and on, 'Rise of Azshara'. Mechagon Megadungeon, a Mythic-only dungeon that's reminiscent of original Karazhan's layout. New rewards...possibly new battle pets? Additional Island Expedition maps, which likely means more pets that come from this feature, although it's unclear how we'll obtain them. Speaking of Island Expeditions, developer Jeremy Feasel noted in an interview with the french fansite Mamytwink that they hope to better explain reward distribution for this feature in the future. You can read the full interview (French) or check out Wowhead's summary and translated version. More details on what's to come in Patch 8.2+ will be available after Patch 8.1.5 is released. We'll have all the Pet Battle-related news, so stay tuned! Once again, we'd like to thank Marzena for organizing and hosting this year's WarcraftPets Community Meet-Up. We hope everyone had a great time! Be sure to check out our Facebook page for any pictures from this year's convention meet-up. We'll be adding them in the near future. We look forward to the next BlizzCon and WarcraftPets gathering! And of course, thank you to ALL of our users for your continued support. @Gilneas: We've fixed patch numbers in the post. Hopefully it's clearer now. Thanks! Slight correction to the patch numbers... the patch that is coming in December is patch 8.1 (what is on the PTR). Patch 8.1.5 is coming in the new year at some point and will have some content updates similar to 7.1.5 with Legion (i believe they said Brawler’s Guild was for 8.1.5). Finally, Rise of Azshara is patch 8.2, with another minor content patch coming some time after that (that one would be 8.2.5).